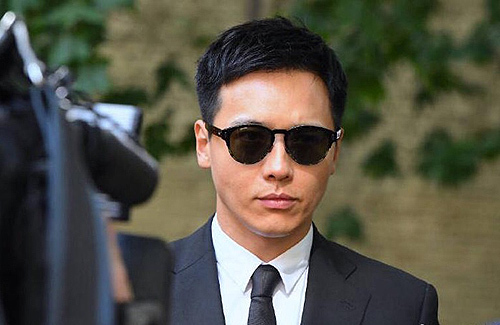 It has been eight months since Mainland Chinese star, Gavin Gao (高雲翔), and his friend, Wang Jing (王晶), were arrested in Australia for sexual assault of a 36-year-old mother who had been working on the set of their new movie. Today, Gavin and his defense team appeared in court looking grim and having visibly lost weight since his first court hearing. The air was thick with tension and the use of electronic devices in court was restricted. The purpose of today’s hearing was for Gavin’s defense team’s request that the court allow for cross- examination of the victim and witnesses. Their request was based on inconsistencies found in the victim’s testimonies. First of all, the victim does not mention being sexually assaulted by Gavin in her first testimony however she changes stories in her third testimony. Second, the victim did not immediately report the assault. Instead, she chose to go home to shower and sleep. It was only after convincing from her husband did she choose to report. Third, the victim had initially refused to undergo a physical examination. Fourth, the victim stated that she entered the hotel room with her hands handcuffed. However, based on the hotel CCTV footage, it shows that she entered the hotel room willingly. Lastly, after reporting the incident, the victim attended an event where she knew Gavin would be present. She did so even after the police advised that she should not attend. After serious consideration, the judge decided to deny the request. Gavin’s lawyer stated that he would be requesting again to High Court. Gavin’s wife, Michelle Dong (董璇), was recently seen smiling and in a great mood. This is a contrast from her usual worried expression; netizens took this as a sign that she was confident in the success of her husband’s case. She has also been witnessed looking at a showroom for a condo in North Sydney. There is speculation that she will be immigrating to Australia. However, this was refuted by her manager who stated that Michelle was just discussing business with a friend and has no plans for relocation.